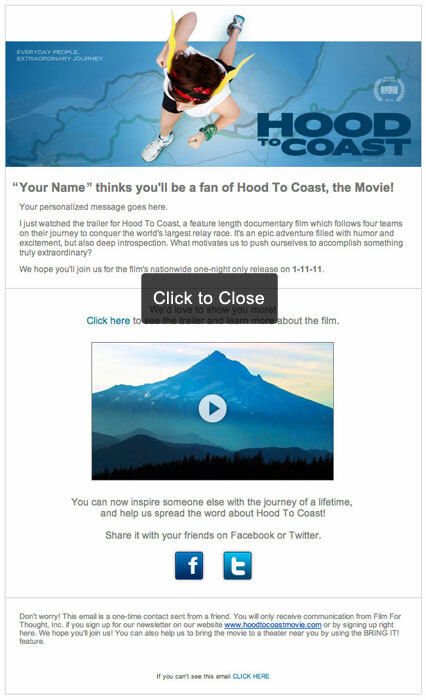 The Teams - Hood to Coast Movie - Everyday people, extraordinary journey. A team can fulfill an incredible challenge that would be impossible for an individual. We followed four teams for months as they prepared to run the 197 mile course, and stayed with them through the 36 hours of the race. From the 27-year veterans to the first timers, their stories provide the kind of inspiration that will drive us all to find the thrill we all need to push ourselves farther. Click on a logo to learn more about a team! A team of women over 50, Heart N' Sole train together all year for their favorite relay. However, on the race course last year, longtime team-member Kathy collapsed. She has pushed herself, her doctors, and her sense of self in order to return to the sport she loves. With the cautious support of her friends, together they face their age and their own limitations as they try to complete the race that almost killed one of them a year ago. Working at exciting but sedentary jobs as animators, the Thunder N' Laikaning team members are stretching their physical abilities more than any other team. They approach the race with the excitement of artists, but then the realization that they will be putting themselves through the most rigorous physical experience they've ever endured hits them like a ton of bricks. Their humor and incredible team spirit propel them along the course, and the journey becomes transformative. 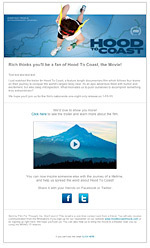 The Dead Jocks are passionate athletes and long-time Hood To Coast participants. With great gusto, they participate in the race they have loved for decades, even as the minutes on their mile stretch with age. Their expert knowledge of the race contrasts comically with the desire to have as much fun as possible on the course, which translates to acting like they did when they were much younger runners. As a result, they alternate between the voice of authority and of the fun instigator. The unseen force that holds team R. Bowe together is Ryan Bowe, who died suddenly at age 30, just a few weeks before the Hood To Coast race one year before. Since he had participated in the race since he was 12 years old, the course seems the right place to celebrate Ryan's too-short life. His family and friends work through their grief and participate in the race to keep his memory alive, and the film captures his image as a runner, a son, a brother, a husband, and an absent friend. © 2010 Film For Thought, Inc.
Share the Hood To Coast trailer with your friends, family, teammates, and fellow runners by sending them an email about the website. Don&apos;t worry! These emails are private, and are only used to share your message. Information submitted here will not be stored or used for marketing purposes.